The following sketch is translated from Karl R. H. Frick’s Die Erleuchteten: Gnostisch-theosophische und alchemistisch-rosenkreuzerische Geheimgesellschaften bis zum Ende des 18. Jahrhunderts, ein Beitrag zur Geistesgeschichte der Neuzeit (1973), p. 574 ff., originally included as an appendix at the end of McBean and Gabirro, A Complete History Of The Ancient And Primitive Rite (2002). There were a few mistakes with spelling and grammar, etc., so I’ve cleaned it up, while providing annotations, links and illustrations. In regard to the entire milieu of high-grade Freemasonry during the Enlightenment, the Philalèthes are as noteworthy as they come. The Rite itself – more of a regime – and the Lodge ‘Amis Réunis’ from which it was founded, constituted a clearing house for all things occult or esoteric on the continent and beyond; Savalette de Langes and the Marquis de Chefdebien may even be described as engaging in Masonic espionage. There isn’t a single volume on 18th Century Freemasonry that doesn’t give the major details of the Amis Réunis and the Philalèthes. 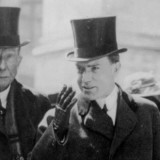 Members of the rite came not only from France, but from Germany, England, Italy, Austria, Sweden and Russia (and as was shown with the publishing of J. J. C. Bode’s diary in 1994, the Bavarian Illuminati had managed to officially join forces with it just two years before the revolution). Part of a briefing by Savalette de Langes sent to Chefdebien, in order to prepare the latter for his participation at the Congress of Wilhelmsbad. This report is about Baron de Gleichen (1735-1807). A simple cypher within the text identifies him as both an Élus Coëns and a member of the Amis Réunis Philalèthe of the 12 class. 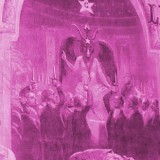 The Philalèthes recruited at Wilhelmsbad as vigorously as did the Bavarian Illuminati. I’ve read more than a few accounts of the Philalèthes over the years, but this report by Frick – about as complete an introduction as as you’ll find – is by far the best. As a continuation of the Élus Coëns,1 but also as far as the doctrine is concerned of the Illuminés of Avignon, the Philalèthes are part of the mystical Freemasonry in France. The Philalèthes or Searchers of Truth was the name of the masonic-hermetic system founded in Paris in 1773. This we will investigate now. On April 23, 1771, a new lodge was constituted with the name ‘Des Amis Réunis’ [The United Friends]. In 1774 it had 57 members, mainly officers of noble descent and rich citizens, among whom were two Élus Coëns. They were the Viscount de Saulx de Tavannes,2 Major of the royal infantry regiment, and the Abbé Jean-Baptiste François Rozier (1734-1793), Honorary Knight of the Church at Lyon, known among his contemporaries as a naturalist. As a doctor of theology he directed from 1765-1769 the vetenary school at Lyon, and was Master of a lodge. With Pasqually he had a personal contact, and was a dedicated supporter of his doctrine. He later studied at Paris botanics and agronomy. He published quite a number of books, among them textbooks on agriculture, physics and veterinary medicine, and published with Pierre-Jacques Willermoz3 an Agronomic Dictionary. As a Mason he also was one of the founders of the Grand Orient in 1773. During the session of July 12, 1773, when he was the president of the Chamber of the Provinces, he proposed the foundation of Provincial Lodges. After some explanations with Lalande, which are here of no interest, he, Lalande and Joseph Ignace Guillotin (1738-1814), the inventor of the guillotine, proposed a regulation for the French Lodges, which was proposed on October 22 and accepted later on. In 1775 he organised as an enthusiastic Élus Coëns, together with Saint-Martin a magical session, according to the ritual of the Élus Coëns, in the Palais de Luxembourg, the Duchess of Bourbon being present. Rozier started together with the Master of the Lodge Des Amis Réunis, Savalette de Langes (1725-? ),4 the royal treasurer at Paris and since 1773 [and] Director of Ceremonies of the Chamber of Administration of the Grand Orient (later its secretary, Orator and Junior Warden, since 1777; finally Grand Secretary of the Grand Orient), a number of changes in the lodge. They wished as Searcher of Truth to investigate the expected secret Doctrine of Freemasonry, and to this end they started an academy for the Research of the Occult (Académie occultiste). So, in 1775 a Commission of degrees and archives was constituted, with the task to reform the system and to install for the research a library and archive, using the existing material. A plan for the ‘Increase of the Knowledge of the absolute Truth’ was elaborated and within five years realized in the system of the Philalèthes. The Philalèthes reorganized the existing system of high degrees, returning to the original symbolic degrees of Freemasonry: The College of Symbolic Freemasonry consisted of five classes, as a substitute for the degrees. The first class consisted of Apprentices, the second of Fellowcrafts, the third of Masters, the fourth of the Elect, and the fifth of the Ecossais. The first three classes were in conformance with the classical degrees of the Symbolic Freemasonry, whereas the two others were taken from the historical degrees of Scottish Freemasonry, having a close relation with the Hiram legends cherished there. The Chapter of the Knights of the Amis Réunis consisted of the sixth class: Knight of the Orient, the seventh of the Knights Rose Croix, and the eighth of the Knights Templar. The chapter corresponded with the usual degrees of knights. In the Counsel of the Amis Réunis there was a ninth class of the Unknown Philosophers, the tenth of the Worshipful Philosophers, the eleventh of the Initiated, and the twelfth class of the Philalèthes, Master of all Degrees. In this Council of Amis Réunis were the degrees with alchemist, theosophical-pansophical, theurgical and magical Secret Doctrines, which we trace everywhere in the systems we investigated. As a difference with the masonic lodges of classic character, there were no lectures, no ceremonials nor rituals, no Signs nor Passwords. 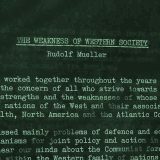 The doctrinal edifice of the system had to transfer as a secret knowledge its teaching to the Amis Réunis in special study circles. This lodge was transformed into a Masonic research institute, and wanted to investigate the true origin of Freemasonry according to scientific points of view. It is evident that the members would occupy themselves intensively with the already discussed secret doctrines and the doctrine of the Gnostic school, which gained more influence within the mystical Freemasonry at the end of the 18th century, but even more on the 19th century. This address may be ended by the presentation of the idea, which should be made by all united friends and even all Freemasons, of the system of 12 classes. This is not a reformation, neither old nor new, being accepted by all masters of all degrees (of the highest class of the system). They want [to] neither criticize nor accept the establishments, which similar to the united friends, mainly since six years invested with much pomp, and announcing their affiliation, aggregation, rectification, or reformation as presented by the Scots of Heredom, of Avignon, of Marseille; once by the Strict Observance in France of the Germans, imported by the Brother Baron von Weiler by the name of Scottish Directories; the other time by the Souverain Council of the Emperors of the Orient, which originated by the new and equally bizarre name of Grand Globe de France, which the Grand Orient for long believed to be extinguished or blown away; then again by peculiar sects, originated in the lap of the Strict Observance, to which Brother von Zinnendorf, as its founder gave it its name; again by those Zinnendorfern differing much from Zinzendorf [who’s] far older and less known in France, of which the patriarch was the Worshipful Count of Zinzendorf. 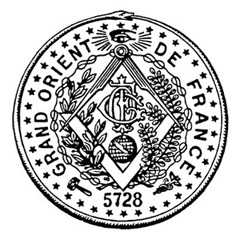 There are other masonic societies, in France as well in other countries, showing at least the same external marks of Freemasonry, known by a small number of the Amis Réunis, following their secrets, however, in deepest secrecy consisting only of a small number of members, who do not make their names known. The masters of all degrees are to estimate them highly as a relation, and pray that those, who by intermediary or by another more direct path have knowledge of it, are to be assured well, that they are far away from mixing up with Freemasonry, anything related to them, even in the archives of the 12 class. (The Masters of all degrees) cannot sufficiently repeat, that their classes are not degrees, and besides they can truly assure that of all the archives contain has nothing to do with them, except the special reception forms in the different classes, as well as their consideration on the contents. The system of twelve classes of the Amis Réunis is definitely nothing else, than what its name indicates. It is a proceeding classification in twelve chapters, formed by the masters of all degrees, of all they could collect and still are collecting, ordering according to a small number of principles, belonging to a system, deploying gradually, of which the totality and development is based on more than probable basics, and offering interesting compositions, proved by the composed objects, and their inner connection, proceeding class by class, and unveiled finally in the last one. Therefore we deny any claim for a very old age. Our calculation of time starts with the acceptance of the denomination of commissaries for the degrees and the archives in 1775. Apart from the terrible translation of this declaration, the embarrassment of the Amis Réunis can be stated easily. Their investigations did not go to the ‘true’ secret searched for by all. Apparently they did occupy themselves intensely with the contemporary doctrines, within and beyond Freemasonry, as with the Brethren from Bohemia6 in the 15th-Century, of a sect striving for the ancient Christianity, which under the the last bishop Johann Amos Comenius (1592-1670) was expelled from Bohemia and Moravia after the battle of the White Mountains (1620). Its remains created a ‘Unity of the Brethren’ under Count Nikolaus Ludwig von Zinnendorf (1700-1760), well known as the Herrenhüter Brüdergemeinde. At its seat at Berthelsdorf a new center with a special kind of Christian Pietism of the 18th-Century was based. They have surely nothing to do with Freemasonry in a direct line, but may have influenced it, as did the French Pietism and the theosophy of [Jakob] Böhme in certain mystically oriented groups within Freemasonry. (Here too a special investigation should allow for new knowledge, as the person of Comenius was connected by several historians with Rosicrucianism and early types of English Freemasonry.7) Especially investigations by the Philalèthes were directed to the secret apocryphic societies, which the previously mentioned Irish deist John Toland with his ‘Pantheisticon, sive formula celebrandae sodalitatis Socratricae’ wanted to create. Practically, the Philalèthes had connections with nearly all contemporary secret or open representatives of the societies and groups, occupying themselves with classic doctrines or gnostic-theosophical or pansophical religious doctrines. Their library and archive, instituted since 1775 until 1780 contained precious volumes and manuscripts from all areas of masonic, alchemistic-rosicrucian and mystic-occult richness of thought. At a very early stage there was a cordial harmony between the Amis Réunis and the Masons at Lyon. Savalette had a very good personal relation with Willermoz and Saint-Martin. Since 1775, the moment the 12th class of Master of all Degrees existed, the contacts with the ‘Inner Order’ of the Chevaliers Bienfaisants were so good, that temporarily in January 1781 a ‘free relation’ of both secret societies was under discussion. But the denying attitude of the Philalèthes to the Scottish Directories and their supposed Knights Templar past made this plan finally fail. The Philalèthes regarded themselves as the direct successors of the ‘Elect orthodox Coëns’ who lately worked in San Domingo, and proposed their last Commander Sebastian de las Casas to the supporters of Pasqually in November 1780 to join the Philalèthes. The Parisian Lodge of the Amis Réunis comprised in January 1781, 91 active members. They were divided over the twelve classes. So the 11th class counted three, the 12th 20 members, among them, next to the leader Savalette, Rozier, J.B. Willermoz, Antoine Court de Gebelin (1725-1784), Salzmann, Dutrousset-d’Héricourt, Baron von Gleichen, Graf Stroganoff, and Tassin l‘Etang, apparently also a Landgraf de Hessen-Darmstadt. He is mentioned in the sources as Friedrich Ludwig, but it probably should be Ludwig Karl von Hessen-Darmstadt (1749-1823),8 who played in the mystical Freemasonry a manifold function. The system of ‘The Divine Order of the Philalèthes or Amis Réunis of Truth’, as the group was also called, took up contact [in the] early 80’s with the Marquis de Chefdebien de Saint-Amand,9 well-known in the mystical Freemasonry. This Major of the Chasseurs [a special type regiment], originated from a Breton noble family; he was a Maltese Knight and honorary Counselor of the Scottish Directory of the Province Septimanie of the Strict Observance, having the name in the order of Eques a Capite Galeato. This name referred to his family name, being in Breton language Penmadou, which can be read as head with a helmet. When the family moved to the old city of Narbonne in Southern France in the 18th-Century, the name was frenchized into Chefdebien. During the Convent of the Gaules he represented the chapter of the Knights Templar of Montpellier. With his father, the Viscount de Chefdebien d’Aigrefeuille, he constituted in 1780 a new rite. After having written in 1779 a history of Freemasonry, and having contacts with the masonic rosicrucian centers at Strasbourg, Leipzig and Frankfurt, he also became a member of the Philalèthes in that year. As a member of the 12th class and of the ‘Committee of the Five Brethren’, who occupied themselves with the system of the lodges connected with the Philalèthes, he felt obliged to create himself a system of high degrees also. He called it the ‘Free and Accepted Masons of the Original Rite of France’. The history of Freemasonry calls this ‘very reverend Lodge of Saint John’ at Narbonne the ‘Lodge of the Philadelphes of Narbonne’. It was constituted on December 27, 1779, and on April 19, 1780, the new rite was introduced. This rite had great similarity with that of the Philalèthes. It consisted of 12 classes, in which more or less the same thoughts were expressed, the work being alchemistical. Next to the usual three symbolic Degrees Apprentice, Fellowcraft and Master, combined in class 1, the second class showed the degrees of the Perfect Master, also called Elect or Architect, Worshipful Ecossais, Knight of the Sword, Knight of the East, and Prince of Jerusalem. In the 3rd class there finally were three chapters of Rose Croix, and the last chapter of Rose Croix of the Grand Rose Garden. This last name directs to the “great rosarium of the philosophers” (Magnum Rosarium Philosophorum). This publication, so important to the Alchemists, was attrributed to Arnaldus de Villanova. It was first printed in the 16th-Century. In the last degree the deepest secrets of life and nature were investigated, in which as a matter of fact the secret knowledge of the origin described, was investigated especially. The instructions for the separate degrees were signed by an imaginary Knight Pen (Chefdebien), who claimed to be one of the ‘unknown superiors’, and a knight of the Golden Lance. He declared that the knowledge of the old Brethren of the original Rite was of oriental origin, and brought to Europe both via Syria and India. It was here safeguarded by secret societies in Cyprus, Holland and Sweden, and enclosed by mysterious circles at the base of the ‘Blue Mountains’, being transferred secretly. The doctrine itself showed strong parallels to the re-integration of Pasqually, and was a mixture of the doctrine of the [previously] discussed systems. Already in 1781 the contact between Chefdebien and Savalette, which never ceased, was even intensified. During the Convent of the Strict Observance at Wilhelmsbad in 1782, which Chefdebien attended as deputee of the Grand Priory Septimanie (Montpellier) of the III. Province, he was charged with the representation of the interests of the Philalèthes, because they did not pertain to the Strict Observance, so having no observer during the convent. During the following period Savalette and Chefdebien occupied themselves intensely to collect all documents about old and new secret societies and their doctrines. 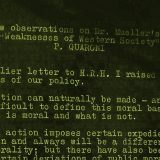 Numerous documents have been saved. It showed that there were relations with the Baron von Steuben, called Eques a Fortuna Resurgente (who most probably is not the Freemason and future general inspector of the American troups, Friedrich Wilhelm von Steuben 1730-1794, who went to the States already in 1778), with Lavater and the Prince von Nassau-Saarbrücken-Usingen, called Eques a Pomo Imperiali, having a castle at Bibrich in the neighbourhood of Strasbourg. 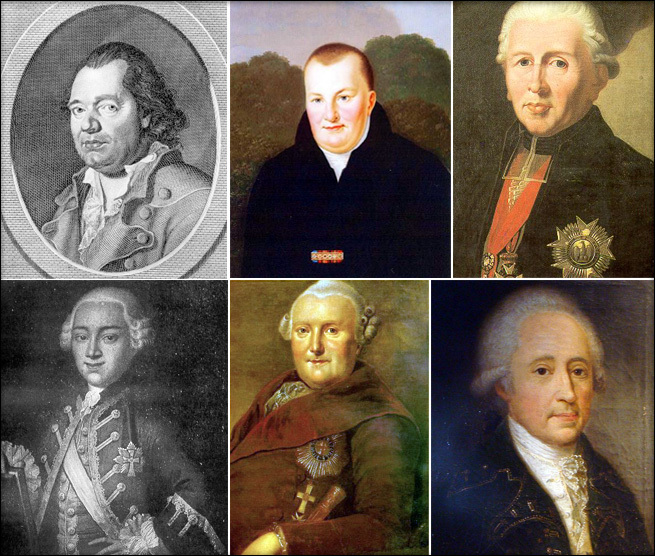 We know that both princes Ludwig Georg Karl and Friedrich Georg August von Hessen-Darmstadt were members of the Philalèthes of the 12 class. Both Brethren made a discovery tour through France and Italy, in order to investigate the secret societies and the origin of Freemasonry and Rosicrucianism and their doctrines. They searched in vain, but found the two adventurers Peter Christian Tayssen and the already mentioned Freiherr Gottlieb von Gugomos. Already in 1776, before the appearance of Gugomos at the Convent of Wiesbaden (15.8-4.9.1776) both were already members of the system. 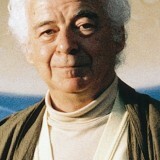 Tayssen claimed to be a true adept. At the court of the prince Ludwig von Heilbronn, to which he belonged since 1776 as ‘economic adviser’, he recounted that he had worked in Norway for seven years on alchemy, which cost him 3000 Taler. He had been at Venice for eight months, where he searched for the secrets of the Opus Magnum, seeing very much. Savalette and Chefdebien tried to make contact with all contemporary occultists, founders of Masonic systems, among them charlatans. Chefdebien informed continuously about Schrepfer, Gugomos, von Rosskampf, Waldenfels, Gassner, Falcke, Zinnendorf, Beyerle, Loewenstierna, Livy, Weiler, Wächter and Tiemann. Their activities within Freemasonry was observed and all documents on the essence of contemporary secret societies assembled in the archive at Paris. Also the Élus Coëns, as the Chevaliers Beinfaisants, their chief Willermoz, and even members of the Philalèthes were observed and information collected. After believing they possessed information about all systems of mystical Freemasonry, the Philalèthes came to the foreground, after having worked introvertly in their lodge until now. An announcement of August 24, 1784, being sent on September 14 to persons of the most different masonic systems, was succeeded by another one of November 13. The contents of the note was a summon to all Masons of all countries and systems, to give their view and knowledge of Freemasonry on the basis of ten questions. The note was sent to 128 well-known Masons, among them 28 Philalèthes. The answer to these ten questions should serve as a foundation for a convent to be held on February 15, 1785, at Paris. Already on October 26, 1784, they agreed that the Grand Orient as an institute should not be invited. It was an illuminated circle receiving the invitation to the convent. All ‘experts’ of mystical Masonry and all, whom the Philalèthes believed to be illuminated, should convene at this convent. So there were 20 Germans: Duke Ferdinand von Braunschweig, the princes Ludwig and Christian von Hessen-Darmstadt, the Count Brühl from Dresden, von Ditfurth from Wetzlar, Dr. Förster from Halle, von Dalberg from Mannheim, von Rosskampf from Heilbronn, Theden from Berlin, as well as Wöllner, von Wächter from Frankfurt, Starck from Darmstadt, Baron Gleichen from Regensburg, as well as Bode and von Haugwitz; there were 5 Austrians: Prince Dietrichstein, Count Esterhazy and the Rosicrucian Matolay; four Italians: Count Albarey, Dr. Giraud and Diego Naselli, members of the Chevaliers Bienfaisants; the Swiss Dr. Lavater; the Polish occultist Thouz de Salverte from Warsaw; the Major of the Russian service Tiemann from Petersburg, and the Englishman Bousie, and two Swedes: Count de Toll from Stockholm. The following Chevaliers Bienfaisants were invited: J.B. Willermoz, Bernard and Jean de Turkheim, Millanois, Grainville, Virieu, Joseph de Maistre. The following Élus Coëns orthodox, the so-called schismatics: Abbé Rozier, the brethren Mallet and Moet from Versailles, Saint-Martin, de Pointcarré. President of the parliament at Rouen, de Frémicourt, de Champollon and the Viscount de Tavannes. The Illuminates of Avignon were represented by Count Grabianka, Dr. Chastanier, Count de Corberon and Marquis de Thomé. It goes without saying that the following were also present: Cagliostro, Saint-Germain, Mesmer, Chevalier de Barberin, the occultist Touzay-Duchanteau, ‘professor of theosophy’ ‘professor of algebra’ and ‘good magic’ Eteila (anagram of Alliette, a former whigmaker). Which is the essential base of the Masonic science and its discerning character? Which period and which origin can intelligently be ascribed to it? Which societies or corporations or individuals may have possessed it in the past, or through which corporations did it pass, in order to proceed through all times? Of which societies, corporations or individuals can be supposed, that they are really in their possession? Is the tradition, it possessed, in writing or by word? 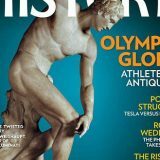 Does Freemasonry have a relation with secret or well-known sciences, covered by their names? With which of these sciences is it connected most, and what are those connections? Which kind of advantages can be expected from Masonic Art? Which of the contemporary types of doctrines is most advisable, not to be regarded as the general standard, but in order to have zealous and industrious young people make quick and useful progress in the real Freemasonry? Why do Freemasons give unanimously the name Lodge to their meetings, to the places, where they are held? What is the origin and the true definition of the word lodge; the word Temple, by which also is indicated the place of meeting; of the expression: to open or to close the work; of the word Scottish for the high degrees; the name of Worshipful and Master of the lodge, by which the French, and the Germans respectively call their master? In their invitation the Philalèthes pretend to possess the most important Masonic, hermetic and theosophic documents. The invited have to agree in principle, that there is but one God, that they believe in the immortality of the soul, as well as the punishment or recompense after death; finally that there is a primeval science or knowledge, which in its tradition is promoted by separate individuals through the whole history of Man. The Mother Lodge of the Rite philosophique, which is to some extent a direct competitor of the Philalèthes, forbad on January 25, 1785, its members, the Marquis de la Rochfoucauld-Bayer, Grand Master of the Mother Lodge of the Scottish-philosophic Rite, and Doctor Lafisse to participate in the convent, pretending that “it does not allow some Brethren to inform about their doctrines, and that such information can only be procured by the head office of the system, if it shows to be proper to give such inside information.” A further three invited persons denied in writing their participation. They were the Duke Ferdinand of Braunschweig, Saint-Martin, who averted in the meantime practically from Freemasonry, devoting himself completely to theosophy and his own circle, the Martinists, and the famous magnetizer Mesmer, who by his doctrine of animal magnetism and his large support was fully occupied. The convent was opened on February 15, 1785, by Savalette. It lasted until May 26. In 30 sessions discussions were held among participants11 from France, Germany, Switzerland and some other countries about the presented questions about the origin and essence of Freemasonry. They also invited Cagliostro [who] had his participation depend on his conditions being accepted. So he wished f.e. that the archive of the Philalèthes should to be burned. In turn he promised the audience to have, with the aid of his secret knowledge, the essence of true Freemasonry presented by his spirits. These spirits were according to his claim, using the magical tradition of evocational magic of the Middle Ages, the intermediaries between Man and his Creator, and could be made useful to mankind. However, all experiments failed, and it also failed to make an arrangement with Cagliostro, who just reached the summit of his fame. Besides, they could only agree in general terms, that there be a Masonic science. The majority of the attendants was of the opinion, that the hermetic sciences and at this time also the Christian theosophy were the primeval source of the search. Magic should also be regarded as part of the hermetic sciences, as do all other classic secret sciences. An interim committee maintained the contacts by correspondence with the foreign participants. As a third note they received information about the intentions of the convent. A printed resume of the minutes of the first convent and an index to some copied addresses were added. Finally it was decided to have a second convent. Tassin d’Estang went in charge of the Paris Philalèthes to Lausanne, in order to have the directing committee summon for the convent, which was rejected on July 16, 1786. Only after some problems it became possible to have a second convent in the next year, at a far smaller rate. It was held from March 8 until May 26, 1787. The ultimate proof should now be given that theosophy, alchemy, kabbalah and magic have to be regarded as serious sciences. The symbols and ritual acts of Freemasonry are to be regarded as the means, in order to disclose ‘to the youth the most hidden Knowledge of the last things of the true Royal Art’. With the invitation to this convent, which for economy reasons was held in the private rooms of Savalette, 13 new proposals were sent as themes, which should produce the proof of the above assumptions. This convent too could not bring the elucidation nor the consentment. The Freemason and enemy of the Jesuits, Johann Christoph Bode (1730-1793) wanted to participate. He believed that the mystical high degrees of Freemasonry were influenced by the Jesuits, and had already tried to prove this in a publication ‘Essay on the origin of Freemasonry’. He entered the convent too late, and could no more influence it. The Landgraf Christian von Hessen-Darmstadt (1763-1830) sent a plan to reform Freemasonry, which had no response. England, was reconsidered. It was suggested to investigate in the archives there to find the origin of Freemasonry, and inquire about the truth of the book with questions of Henry VI. But also the tendency to occult doctrines was still strong among the members of the convent, so that maintaining a continuous committee was decided too. It assembled on June 8, but ended then its activity. The French Revolution caused a violent end. The archive and library, manuscripts and correspondences, as well as parts of the alchemical laboratory were dispersed to all sides. Part of them could be recovered after the Revolution and became the property of the Mother Lodge of the Rite Philosophique, which as will be described still existed in the 19th-Century. There is no special literature about the Philalèthes. There is information in various German and French Masonic encyclopaedia, periodicals and magazines. 1 Ordre des Chevaliers Francs-maçons Élus Coëns de l’Universelle Fraternité [Order of the Masonic Knights Élus Coëns of the Universe], a theurgic and magical initiatory group instituted by the enigmatic Martinès de Pasqually (1709 or 1726/1727-1774) at the turn of the second half of the 18th Century. Pasqually invited “men of aspiration” to “partake in the practice of a divine religion and excercise a priestly function; they would participate in a theurgic rite, involving invocations (referred to as ‘operations’) that sometimes resulted in ‘manifestations’ from the higher planes. Like Aaron who had been chosen by the Lord to be a priest in His service (Ex. 40:13), they were … chosen priests: elect coëns or cohens (Kohen, plur. Kohanim, meaning priests in Hebrew) … In the 1760s, aristocrats of both the old and the new nobility, well-to-do bourgeois who aspired to spiritual ennoblement, and members of the clergy frequented the lodges” (Dictionary of Gnosis & Western Esotericism, ed. Wouter J. Hanegraaff, Brill Academic Publishers, 2005, p. 332). 2 Charles-Dominique-Sulpice vicomte de Tavannes (1751-1794), a member of the Lodge Amis Réunis from 1773-1779 and La Bienfaisance (as Director of the Scottish Rite) from 1781-1789. See Charles Porset, Les Philalèthes Et Les Convents De Paris: Une Politique De La Folie, H. Champion (1996), p. 605. 3 The brother of the more famous Jean-Baptiste Willermoz (1730-1824), the developer of such high-grade systems as l’Ordre des Chevaliers Bienfaisants de la Cité Sainte (C.B.C.S.) [Order of Beneficent Knights of the Holy City of Jerusalem] and the Rite Écossais Rectifié (R.E.R.) [Rectified Scottish Rite]. 4 Frick here seems confused, and probably has gotten Savalette mixed up with his father who was born in 1719. The Savalette to which we speak here is Charles-Pierre-Paul Savalette de Langes (1746-1797). See Porset, op. cit., pp. 146-155 in particular; my own book, Perfectibilists, passim; and Pierre-Yves Beaurepaire, “SAVALETTE DE LANGES, Charles Pierre Paul” (an entry in a French Masonic Encyclopedia). 5 Georg Kloss (1787-1854): Geschichte der Freimaurerei in Frankreich; Aus ächten Urkunden dargestellt (1725-1830). 6 The Bohemian or Moravian Brethren. It would later attract followers such as William Blake (1757-1827), his family, and the mystic Emanuel Swedenborg (1688-1772). 7 For instance, see Chapter 12 (“Comenius and the Rosicrucian Rumour in Bohemia,” pp. 200-219) in Frances Yates, The Rosicrucian Enlightenment, Routledge (2004). 8 Ludwig X., Landgrave von Hesse-Darmstadt (1753-1830) was a member of the Amis Réunis, a Philalèthe, and member of the Bavarian Illuminati (see Perfectibilists, p. 351); there was also a Frederick von Hesse-Darmstadt who attended the 1785 and 1787 Convents of the Philalèthes in Paris (no doubt Friedrich Georg August, Landgrave von Hessen-Darmstadt (1759-1808); Illuminatus Christian, Prince von Hesse-Darmstadt (1763-1830) as well, who was the liaison between J. J. C. Bode and the Philalèthes: see Hermann Schüttler, Die Mitglieder des Illuminatenordens 1776-1787/93 (Munich: Ars Una 1991), pp. 34, 97 and Porset, op. cit., p. 295, 566-7. 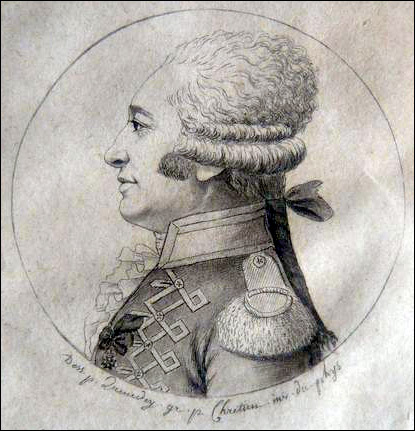 9 Instead of “d’Armand” it should be “d’Armissan”: François-Marie, Marquis de Chefdebien d’Armissan (1753-1814). 10 Asiatic Brethren [Die Brüder St. Johannes des Evangelisten aus Asien in Europa]. 11 See Porset, op. cit., for hundreds of pages of specific answers each participant provided at the Convent. For a typical example (ibid., pp. 360-367), the third question on which societies or groups had originally possessed the Masonic science, we read answers such as the mystery schools of Egypt and India, the Hebrews, Essenes, Pythagoras and Jesus (F.·. de Beyerle); the Kabbalah, Hermes Trismegistus, the Egyptians, Phoenicians, Greeks and Druids (F.·. Giroust); the first Christians and the Gnostics (F.·. de Gleichen); the Priests of Egypt and the Gymnosophists, the priests of ancient religions, cenobitic monks, philosophers, and the religious knights during the crusades (F.·. de Marnezia); the priests and prophets of Israel, Nazarites, Therapeutes, Rechabites, Madianites, the cult of Isis and Osiris, Jethro, Balaam, the three wise men (thought to have been Zoroastrians), Albert the great, the theosophists influenced by Rosenkreutz and Paracelsus, Robert Fludd, Jakob Böhme and Van Helmont, Porphyry of Tyre, Hypatia of Alexandria, and Iamblichus (F.·. Le Normand), etc.